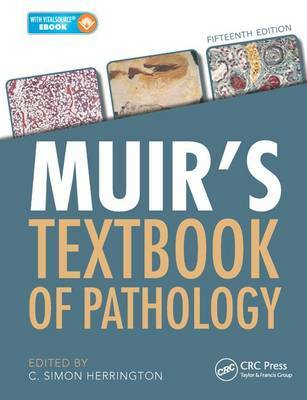 Muir's Textbook of Pathology sets a standard in this subject by linking the scientific aspects that underlie pathological processes, relating these to specific organ systems and placing all in a context that the student of medicine or pathology can appreciate and understand. The clearly defined and easy-to-follow structure, enhanced by numerous photographs and explanatory line diagrams, focus on core material without neglecting novel concepts and up-to-the minute detail. This one-stop-shop in pathology that will take the student right through medical school and beyond to postgraduate training. "As always, the fifteenth edition of this book offers succinct and up-to-date information in pathology. The pictures are of high quality, and the illustrations and tables are informative and serve as perfect adjuncts to the text. Finally, the cost of the book is modest. All in all, it is a must-have for any students interested in pathology."